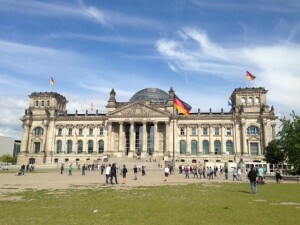 Berlin is currently known as the capital of Germany but it wasn’t always that simple. For a period of 28 years spanning from August 13th, 1961 until October 18th 1989 the wall stood as a symbol separating two political ideologies. More importantly the wall physically separated East and West Germany. On August 13th, 1961 Berliners woke up to find themselves cut off from their families on either side of the wall. The fall of the wall symbolically brought an end to the communist movement separating the two sides of the city in addition to the rest of Eastern Europe. Parts of the wall remain as a reminder of how the past has formed the city. The wall was also surrounded by an area of about 20 meters wide that opened up a substantial amount of real estate in the city when the wall came down. Parts of the death strip have been used for real estate as well as having been beautifully landscaped. As a reminder of the former city limits, there are brick outlines of the wall in parts of Berlin where the wall has been completely taken down. The wall continues to be a symbol of freedom up to the present day. Artists have covered the wall in graffiti and artwork symbolizing struggle, oppression, and freedom. 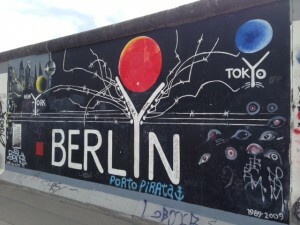 Painters from all over the world have taken part in making a 1.5 kilometer stretch of wall on the outskirts of the city that is known as the ‘East Side Gallery’. Berlin makes no effort to hide the travesties that occurred during the war. ‘The Memorial to the Murdered Jews of Europe’, also known as the Holocaust Memorial, pays homage to remember the many cruel acts inflicted on the Jewish people throughout history. 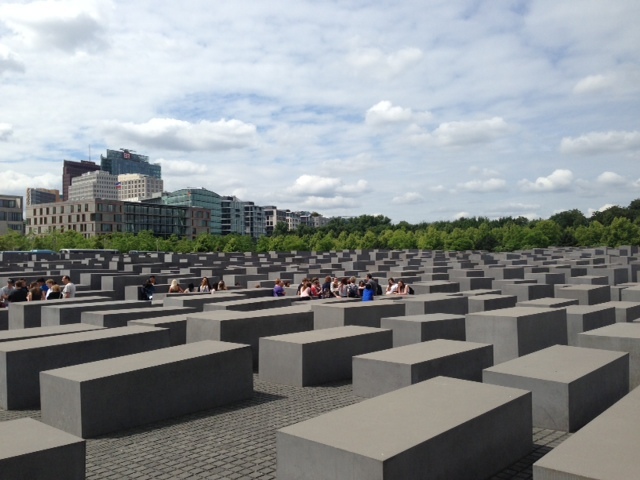 The inspiration of the memorial came from the Jewish cemetery in Prague. 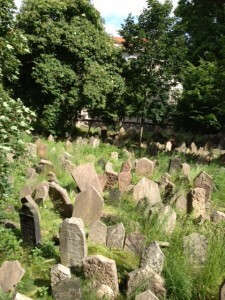 This cemetery was so small that they were forced to stack graves practically on top of each other. Berlin plays host to a wide array of unique architecture. From the Totalitarian style utilized by the communist builders to the renovated buildings from the 1800’s, there is a lot to be seen around the city. 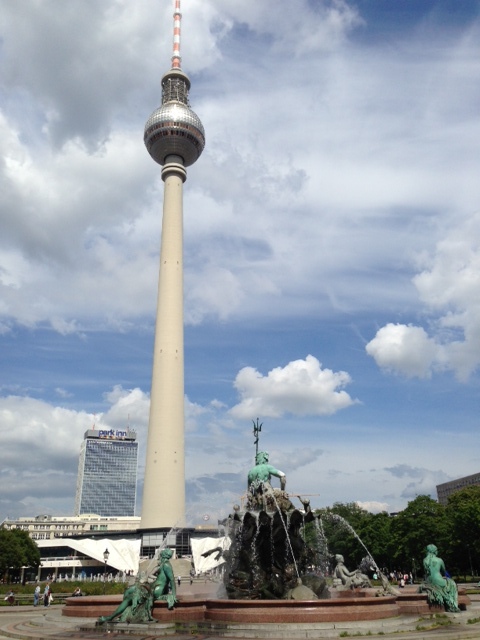 Alexanderplatz is the center of contention when it comes to the mix of old and new architectural styles. The Television Town, Berlin’s tallest building, stands as a reminder of a communist era that brought hard times to the city. 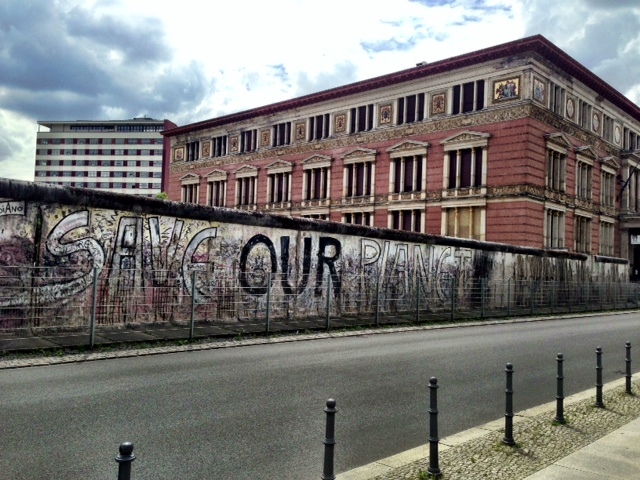 Berlin’s mixed past has not stopped it from propelling itself into modern times. Once one of the most contentious areas of the world, Berlin now stands as a symbol of change and adapting to the times.